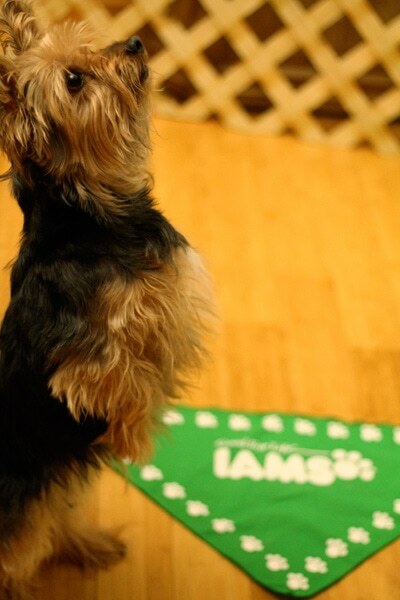 This is a sponsored post written by me on behalf of IAMS Proactive Health Puppy Formula. The opinions and text are all mine. By the time we had our first child, we already had two fur-babies at home. 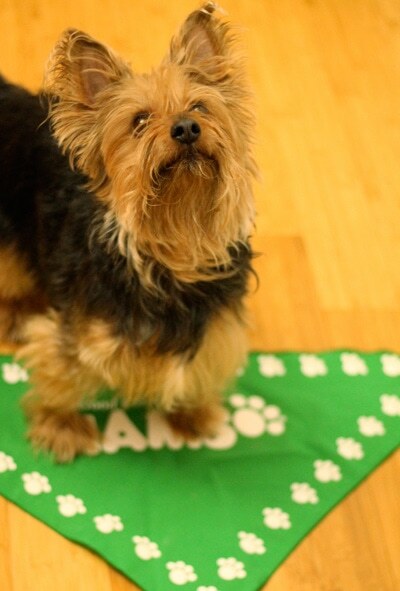 One of our dogs has been with me since my college years and is nearing 14 years of age and our yorkie is now 5 years old. These dogs are spoiled. They are used to getting a lot of attention, love, and lap-time since they are both little dogs. Raising pets and raising children have many similarities. Puppies require a lot of attention and training. I think that by raising pets first, we learned a lot about responsibility and caring for another living thing. When the dogs were puppies, we would have to guess their needs, much like that of a child. It is cute now to watch the transition of how our daughter, now 3 years old, acts like a little mother to our dogs. She helps us feed and give them water daily and even assists in letting them outside to use the bathroom. We allow her to give them their treats when they are good or perform tricks for her, such as sitting down or rolling over. Another thing that she is learning about our pets is in regards to health. We don’t feed our animals from the table because it tends to make them sick. They live on a diet of dog food and what we feed to them is just as important to me as what we put into our bodies. I have drastically changed my eating habits this year to includes many more fruits and vegetables, along with quality proteins and carbohydrates. I have started using food as a means to fuel my body instead of simply “grabbing something to eat” because I am bored. Nutrition is very important to me and my actions don’t just stop at my human baby, they apply to my fur-babies as well. frisbees and our daughter and dogs have a really fun time playing together. How do you keep your pet(s) happy and healthy? Our dogs are pretty spoiled. One even thinks she is a person. They get tons of love which makes them very happy. 3 cats and 2 ferrets. So grooming, daily play time and petting. I have 2 dogs, 4 cats and 2 sugar gliders. They stay happy and healthy by me taking them to the vet annually, feeding them high quality foods, and they all also get plenty of exercise daily. Even the sugar gliders exercise. They have a wheel in their cage they run on every night. Lots of love an long walks. We make sure to take time out each day to play with them. I give my cat nutritious food and spend time everyday playing and petting. She is a loved pet. By feeding them healthy foods, by playing with them and loving them. We have 2 indoor cats and we just give them attention every day, and show them that we love them. They are very spoiled. I keep my three dogs happy by having them eat healthy, daily walks and yearly check ups. I have a calico cat and a lab dog. I keep them happy by giving them tons of attention. I choose a good food and read the recommended amount. I use a measuring cup to portion the food so I don’t overfeed. I try to feed her quality food, and get her plent of exercise and attention. I keep my two dogs happy and healthy by feeding them quality food and giving them plenty of attention and exercise. Lots of love and healthy food! I take my dogs on frequent walks and spend lots of time playing and talking with them. 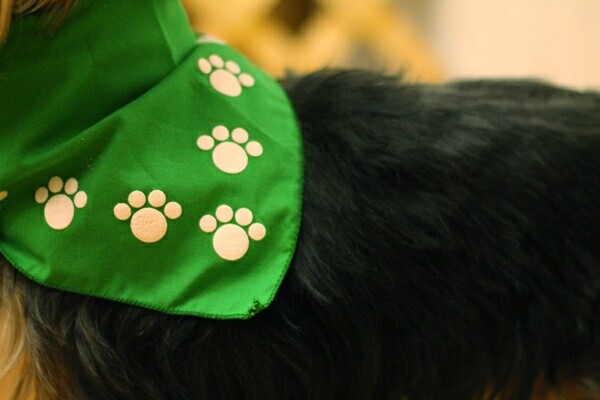 We keep our pet up to date on shots and make sure to give lots of TLC and attention. Lots of love and companionship. Play fetch and lots of walks. I keep my dog happy by taking him thru drive-thru at Mickey Dees. Mcdouble with extra cheese is his favorite. We take him for a walk every day and play with him alot. He is one year old now and a big love bug! We take our pug on daily walks and spend lots of time cuddling with him. i keep our dog and our cat happy and healthy with lots of love and affection!!! I take my dog for walks, groom her and play with her. Regular trips to the vet and lots of love!!! With cuddles and good food. I keep my pets happy and healthy with regular checkups, attention (lots of it), new toys, and just playing a lot. Our cat has a lot of space to run, jump and hide! Lots of petting and snuggles from the entire family! Take them to the doggie park and give em treats. I keep him happy by giving him, and receiving from him, love; I keep him healthy with good nutrition and excerise. 🙂 Thank you. Petting him all the time and giving him some attentions and walks! Our rat terrier gets lots of love – and she has her own padded “perch” to watch the squirells from when we are not home, and lots of exercise. I always make sure I show love every chance I get, no excuses.